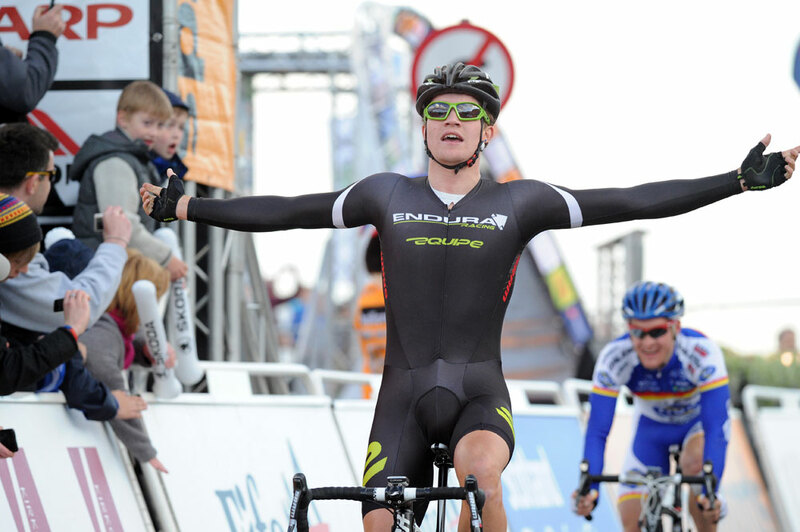 A fast technical circuit saw Endura’s Scott Thwaites storm to the win in the Halfords Tour Series opener in Kirkcaldy, Fife, Scotland on Tuesday. 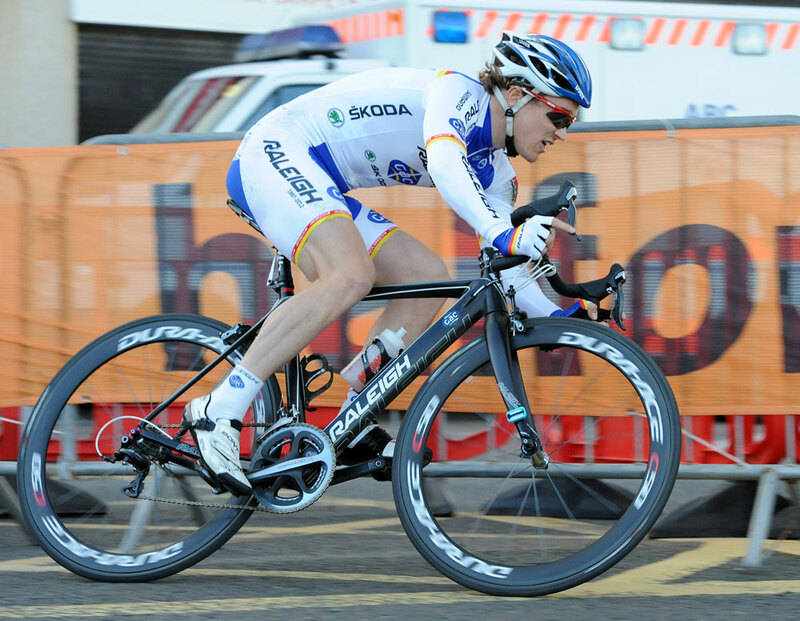 It proved to be an attacking race with moves going off the front every lap. Marcel Six made all the right moves to secure the Boardman intermediate sprints points before Kristian House, Ed Clancy and Dean Windsor made a move which held off the front for several laps. However, they were reeled in as the race came in to its final quarter. Most of the teams were well represented in the final selection of the race but it was Thwaites, the recent winner of The Tour of the Reservoir, that headed the super-fast sprint along the Esplanade to take victory from Raleigh’s Bernard Sulzberger and Node4’s Rico Rogers. Evening sunshine kissed the Scottish east coast course though there was always the threat of squally showers passing close by which did eventually give the odd damp patch on the back of the course late on in the action. 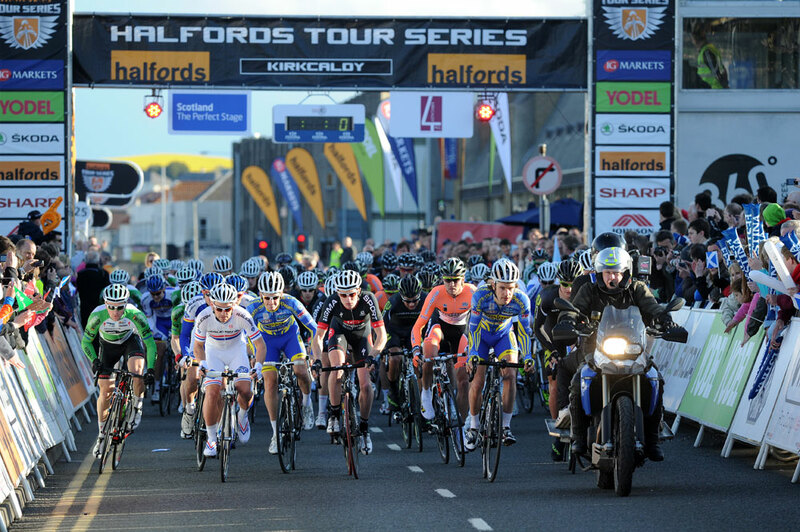 Good crowds gathered to watch the action unfold in this first ever Tour Series round to be held in Scotland. 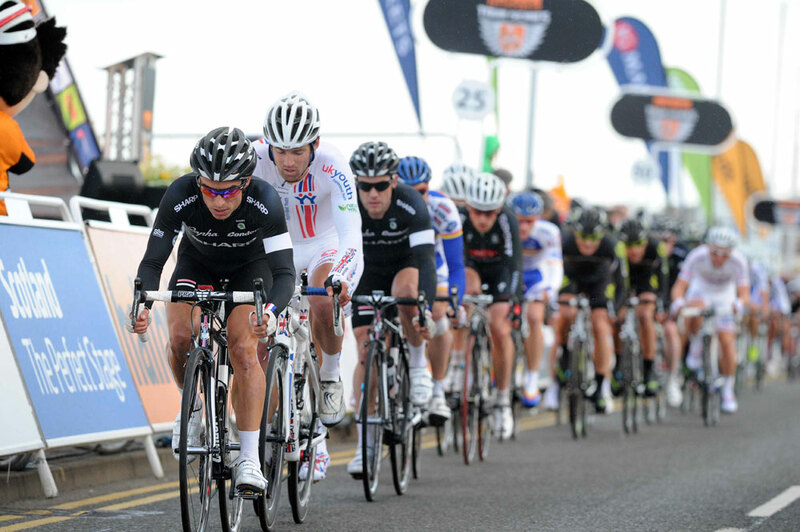 The 2012 Tour Series visits Durham on Thursday for round two.